Piazza Garibaldi is, without a doubt, of great interest. 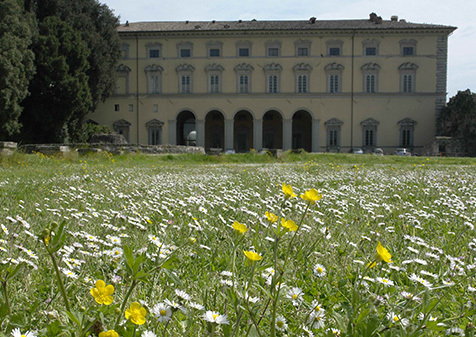 We can see Palazzo Vitelli a Sant’Egidio and its garden. Then there is Palazzo Albizzini, which houses the Burri Museum, and the Monte dei Paschi building. It is the square that links the old town and the new. There are signs of urban decay and renewal. At one time Porta Sant’Egidio could be found here at the eastern end of town. 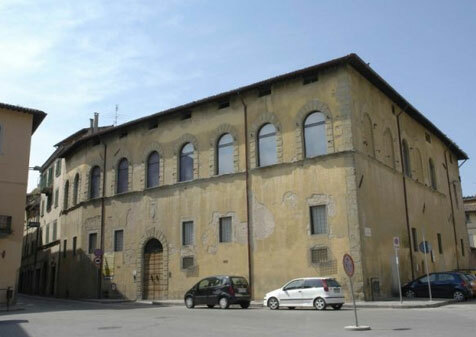 The whole square is dominated by Palazzo Vitelli a Sant’Egidio which was built by Paolo Vitelli (1519 – 1574). He was one of the famous Vitelli family who governed the town from the thirteenth to the sixteenth centuries. The architect is unknown although some think it was Ammannati. The most interesting aspect of the building is the garden façade and the garden itself is noteworthy. the Palazzina, another renaissance structure. The square is named after Giuseppe Garibaldi and his statue was in the centre. It was later moved to the nearby gardens. 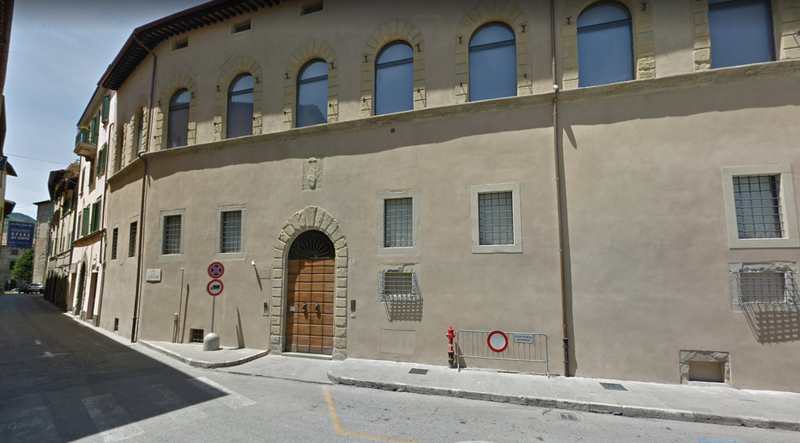 Another important building is Palazzo Albizzini that was built in the second half of the fifteenth century. Several medieval houses were demolished to create space for this palace. It was for this family that Raphael painted “The wedding of the Virgin” in 1504. 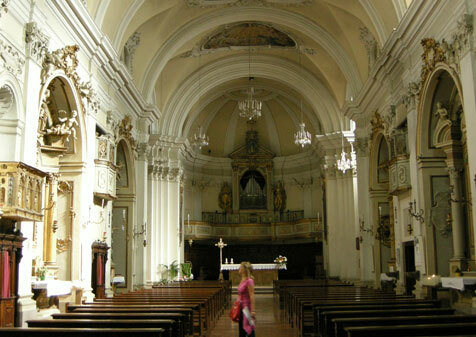 It used to hang in church of San Francesco but is now at the Pinacoteca di Brera in Milan. The Burri Collection is now housed there and works from 1948 to 1989 can be seen. 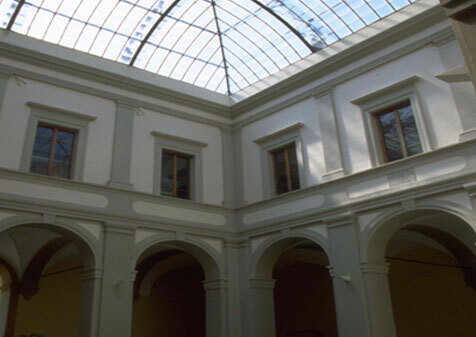 There is a second part of the museum in the Ex Seccatoi del Tabacco just to the south of the town.